Mr. Beaver applies 25 years of experience to resolution-focused representation of employers, insurers and employee benefit plans in litigation. He also counsels and assists employers and plans in the development of preventive compliance strategies. He also works with ski, resort and recreation business operators, defending litigation and providing preventive counseling. Mr. Beaver's employee benefits experience includes the defense of hundreds of cases brought under the Employee Retirement Income Security Act (“ERISA”), involving pension and welfare benefit claims, fiduciary issues, independent contractor status, and class actions. He has led cases in federal district courts throughout the United States, as well as the U.S. Courts of Appeal for the Ninth and Tenth Circuits. He has also led the defense of non-ERISA benefits cases in the state courts. 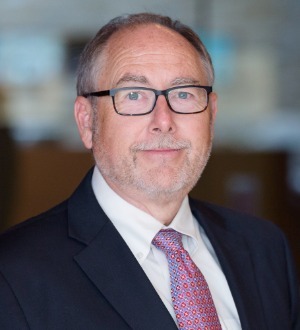 Mr. Beaver leads a team of Holland & Hart lawyers who litigate employee benefit issues, resulting in dozens of trial court and appellate decisions which have helped shape controlling law. Mr. Beaver has also represented employers in virtually all types of employment cases, including discrimination, wrongful discharge, executive compensation, and wage-hour litigation. In addition, he represents life insurers in benefit, sales practice, and product performance disputes. Mr. Beaver has authored employee benefit chapters in the ERISA Survey Of Federal Circuits (ABA 2007) and Insurance Coverage Litigation (West 2000). He has written a number of articles in publications such as For The Defense, the Tort & Insurance Law Journal, and the Labor Law Journal. He has also has spoken at national and state programs sponsored by the ABA, DRI, Western Pension & Benefits Conference, National Ski Areas Association, the Colorado Bar Association, and numerous others. Prior to practicing with Holland & Hart, Mr. Beaver gained experience as a business manager, serving as Human Resources Manager and Vice President for Finance and Administration for a Denver-based manufacturing company, assisting with the sale of the business to a Fortune 100 corporation. He has also served in law firm management, as Chair of Holland & Hart ‘s Litigation Department (2002-2005) and as a member of the firm's Management Committee (2006-2009).